When readers care deeply about your characters, they can lose themselves completely in your writing. But that story magic doesn't happen by accident. 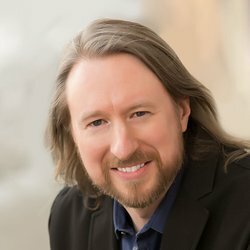 There are six specific techniques you can use to make readers fall in love with your characters. You can use any one of these techniques alone, or use them all together for maximum effect. Here's how they work. You can catch a reader’s interest right away by making your character the best in the world at some particular skill. Craft your opening scene to showcase the character's skill in a dramatic way. When it comes to skill, you can also build empathy by going the opposite direction. Make your character one of the least competent people around. It's easy to sympathize with someone who is thrust into a situation that's clearly over her head. Then, you have a classic underdog story. The reader will feel like your character has an appealing “just like me” quality, which immediately builds empathy. That’s the angle I used in my Dru Jasper urban fantasy series. Instead of being the world’s best sorceress, Dru begins as a rank amateur. She knows just barely enough magic to fumble her way out of danger. Yet the fate of the world is suddenly thrust into her inexperienced hands. This underdog angle was one of the reasons the series sold in a multi-book deal. So doing an underdog story can definitely be worth your while. If you want readers to care about your character, you need to show the character helping someone in need, such as a child, an elderly person, or even a cat stuck in a tree. Helping someone in need is the core of heroism. It doesn’t require charging into a burning building to rescue someone. It can be as simple as a kind word at the right time. But in some way, your character needs to help someone in the first scene. In my new book, A Kiss Before Doomsday, the very first thing Dru does is try to save her would-be boyfriend. Then she turns around and saves the life of her biggest rival. So that’s two helpful good deeds in the first chapter, making Dru pretty impossible not to like. Shakespeare knew that the surest way to generate interest in a character was to have other characters come on stage and gossip about them. If other people in the story are interested in this character, then the reader’s interest will be piqued. This is doubly true if these other characters show affection for your main character. Consider giving your character a tight cadre of friends who care deeply about her. If they have a good reason to care, then the reader will, too. In my Dru Jasper series, Dru has two best friends who consistently give her grief, but they’re always there by her side in the tough times. That forms the emotional core of many scenes. I once received a note from my editor saying that the focus on Dru's friendships is wonderful in a genre where female friendships aren't always front and center. She went on to say that she loved that aspect. Get an editor to love what you’re writing, and your readers will love it, too. 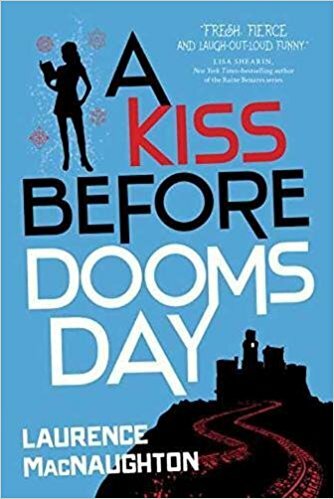 At the beginning of A Kiss Before Doomsday, Dru’s boyfriend is heartlessly taken away from her (raw deal), bad guys have destroyed her crystal shop (double raw deal), and a deadly undead curse has literally walked in her front door (yet another raw deal). Obviously, the poor woman is having a bad day. But bad days make for good stories. Be careful: never, ever allow you character to wallow in self-pity. If you do, you risk vaporizing the reader’s sympathy. Your character may suffer plenty, but she can never complain. Is your character refreshingly brilliant, bitingly sarcastic, or laugh-out-loud hilarious? Is she as witty as we all wish we could be, ready with just the right snappy comeback at the right time? Or does she say exactly the wrong thing at the wrong time, inducing a sympathetic cringe in the reader? No matter how you play it, as long as the character is entertaining to watch, that will hold the reader’s interest. As the creature loomed over her, Dru jammed the air hose into the plastic bag of clay and squeezed the trigger. A whoosh of air filled the sack, inflating it to the size of a beach ball. Dru hefted it up, blocking the creature’s next swing. The thing’s claws slashed the bag. With an ear-splitting pop, it exploded. A blast of cement-colored dust rocked the garage, choking the air, making it impossible to see. Dru coughed and sputtered, feeling as if she was drowning in a cloud of atomized concrete. She blinked, trying to clear her eyes, but luckily her glasses had taken the brunt of the blast. She pulled them off. They looked as if they had been spray-painted in gray primer. At her feet, the creature toppled over onto its back. It lay completely motionless, arms outstretched. Frozen like a statue. Rane started to say something, but a sudden bray of laughter burst out of her. She laughed so hard her entire body shook. She had to prop her hands on her knees to stay standing. Back in the days of the pulp fiction era, when the newsstands were armpits-deep in cheap magazines with names like Saucy Detective Stories, writers were often advised to spice up a slow story by introducing a bad guy with a gun. Simplistic advice, but it’s not wrong. One of the quickest ways to get your reader invested in your character’s fate is to introduce an element of danger. It doesn’t have to be as blunt as a blue-chinned goon with a loaded .45 pistol. But it does have to represent a clear and immediate threat to the character. If the danger isn't life-threatening, it has to menace another core part of the character’s life: her job, her home, her romantic relationship, her family, and so on. You can also expand this danger by threatening someone or something that the character cares about deeply. It takes a little more work to make that effective, since you have to demonstrate just how deeply the character cares. But it can be powerful. A dark voice inside Greyson whispered that the end of the world was coming. Here’s a bonus tip. You can use these exact same methods, in reverse, to create a villain your readers will absolutely loathe. I’ll explain how in my next article here on Fiction University. The next time you open up a new novel or sit down to watch a movie, take careful note of how the main character is introduced. Do they have incredible skills? Do they help someone in need? Do other characters show affection for them? Use even one of these methods in your story, and your readers will instantly become interested. Use several of these methods, or all of them, and your readers will positively fall in love with your characters. What makes you fall in love with a character? Leave a comment below. What a great article! Very helpful as I begin writing another new book. I want to read yours just for that scene in the garage! Thanks Allison! If you'd like copies of my other Fiction University articles to help you write your book, just contact me through my author website and I'll send you all the links. Have fun writing! By the way, if anyone is having trouble commenting on this post, I've had much better luck posting comments using Firefox instead of Chrome.